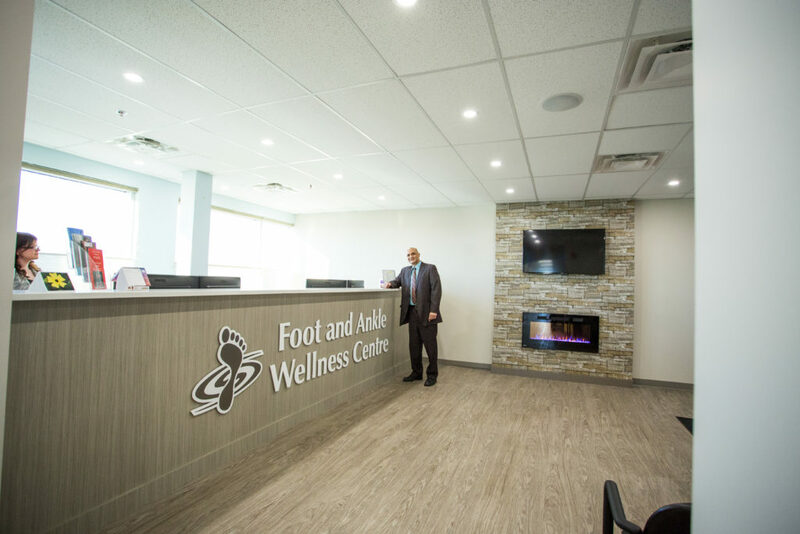 If you would like to save time during your first visit to the Foot and Ankle Wellness Centre, please download this form, complete at home, and bring into our office. The Foot and Ankle Wellness Centre strives to serve those suffering with foot and/or ankle problems. This is achieved through preventative measures, treatment, and proper education. Establish a dynamic environment of creativity, compassion, and professionalism. Strive for improvement in all facets of podiatry. To guarantee a smooth first experience at the Foot and Ankle Wellness Centre, we kindly ask that you come well-prepared. This means arriving with all required information, such as your health care card, patient forms (if you filled them out beforehand), and an awareness of your past medical history (if you have not filled out patient forms). Please attempt to familiarize yourself with your symptoms by reviewing the content that we have provided you on this website. Doing so will allow our Edmonton podiatric clinic to fully understand the problems that you may be experiencing. In addition, should you like, please check out our staff page so that you are aware of who you may interact with at the clinic! We are a friendly bunch – we promise! A view inside the Foot and Ankle Wellness Centre.